This is an 11-session course designed to provide educators with sufficient information so that they can begin to use molecular modeling tools in the chemistry classroom to improve the education of their students. Each Session begins with a short description of the material to be covered. This is followed by a lecture that provides background information on the subject covered in that Session. Each lecture is followed by a hands-on, step-by-step laboratory exercise that serves to demonstrate the material covered in the lecture. The laboratory exercises are provided for a variety of popular molecular modeling programs. 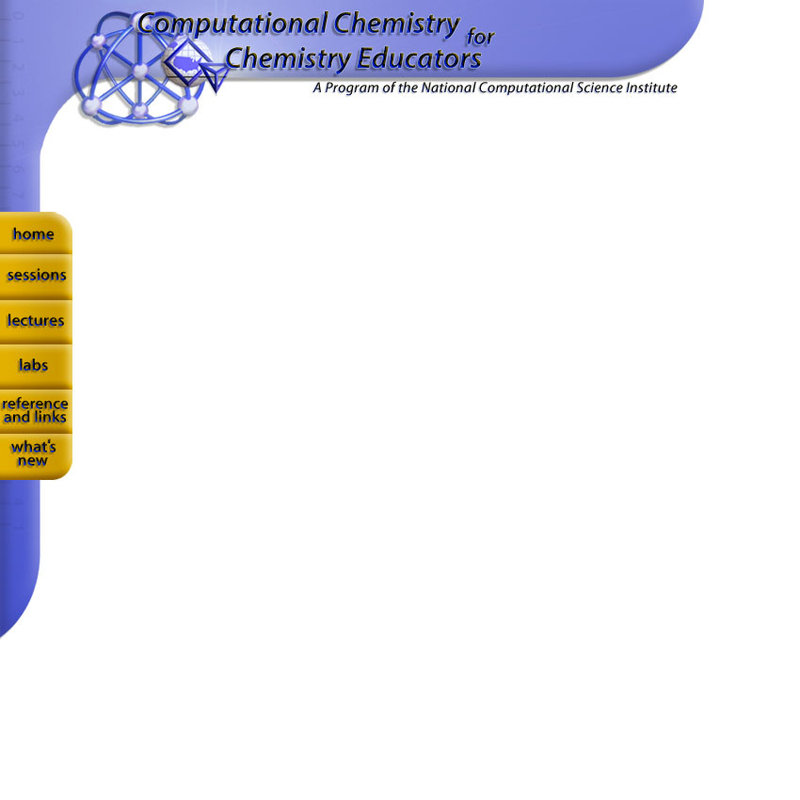 The primary purpose of the course is to help educators clearly understand the technologies, techniques, tools, and the limitations of molecular modeling. This understanding will hopefully provide a stimulus for the creation of new methods of teaching complex topics to chemistry students at a variety of levels. Research has shown that students learn, retain, and internalize information more effectively when they are able to gather information, process it, and come to conclusions on their own. In the past such an approach has been difficult to employ in many chemical contexts. Modern computer technology enables more effective educational pedagogy. It is up to the educator to make the best use of this technology. This course will provide the foundation upon which you can build improved educational materials for your students. Over the past several years, advances in computer hardware and software have made computational tools available to ALL chemists. It is incumbent upon those involved in education to introduce these tools to their students so that the next generation will be able to take full advantage of this technology.